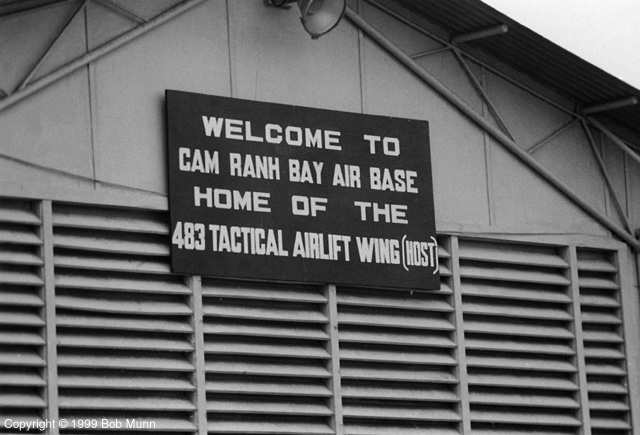 The sign on the Aerial Port Building on the West Side ramp at Cam Ranh. Welcome to the 483rd Tactical Airlift Wing! During 1971, the 483rd was reorganized and renamed the 483rd Composite Wing. Photo generously donated by Bob Munn.